Pendry Hotels today announces Pendry Natirar and Pendry Natirar Residences, collectively one of the brand’s most significant developments to-date. 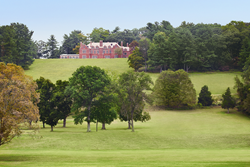 The project will see the near complete redevelopment of one of America’s finest country estates to become Pendry Natirar, alongside the launch of Pendry Residences Natirar. For more information, please visit http://www.pendryhotels.com/natirar. For more information about Pendry Residences Natirar, please visit http://www.pendryresidencesnatirar.com. Pendry Hotels is a luxury hospitality brand from Montage International. Pendry combines inspired design and authentic service tailored to today’s cultured world traveler. Founders Alan J. Fuerstman and Michael Fuerstman's well-seasoned experience in the hospitality industry serves as the foundation for the brand. Each property is injected with a unique perspective on contemporary style with an emphasis on the arts and local community in the city it calls home. The portfolio of hotels includes: Pendry San Diego, Sagamore Pendry Baltimore, and currently under development is Pendry La Quinta and Pendry Natirar, opening 2020, and Pendry Manhattan West, opening 2021. Pendry Hotels is a member of Preferred Hotels & Resorts. For more information on Pendry Hotels, follow @pendryhotels or visit http://www.pendryhotels.com.